Dizzy Dust: Classic Tastes Used by Culinary Heroes. Even the most succulent meat needs a pick-me-up now and again. Humans have known for millennia that while meats carry their own umami tastes, these are heightened a hundredfold with the addition of herbs, spices and salt. Enter Dizzy Dust, the all-purpose BBQ seasoning that transforms ho-hum to heroic heights. Whether you’re cooking ribs on the Big Green Egg, grilling chicken or transforming the humble pork loin into an ecstatic experience, you need a rub you can count on. With a complexity of flavor hailing from exotic spices such as pink peppercorns and smoked Morita chiles, Dizzy Dust is in a class of its own. It not only packs that spicy, salty punch you’re looking for, it balances and synchronizes the natural flavors of the meat. Perfect for a wide variety of barbecue, it really shines on grilled pork and chicken. So whip out that succulent cut, massage those chicken thighs and coat those spare ribs liberally. 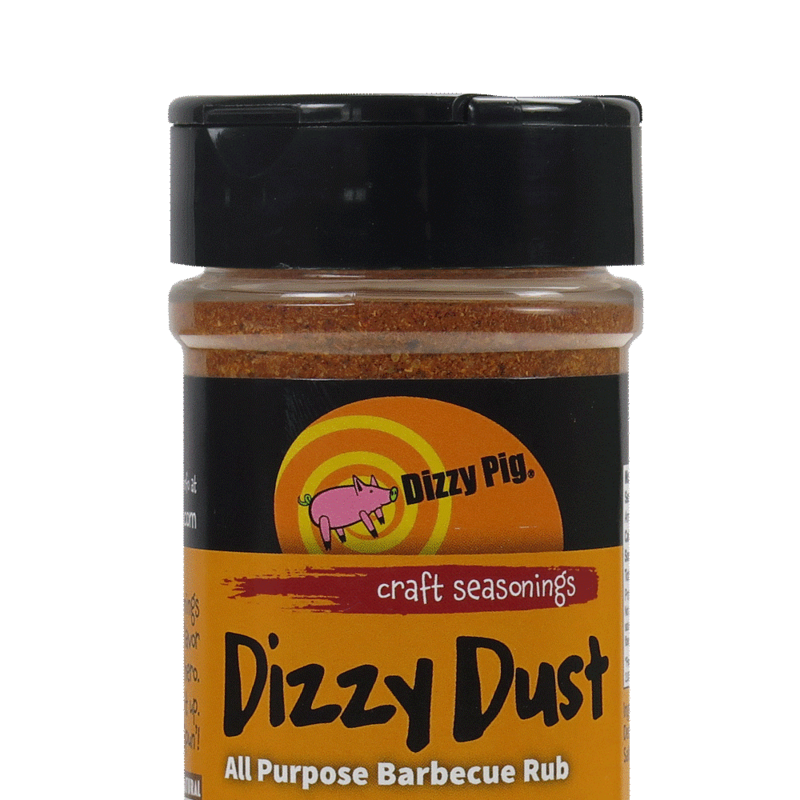 When you use Dizzy Dust All-Purpose Barbecue Seasoning, your culinary delights will soar as high as the smoke from your barbecue. In other words? The sky’s the limit.